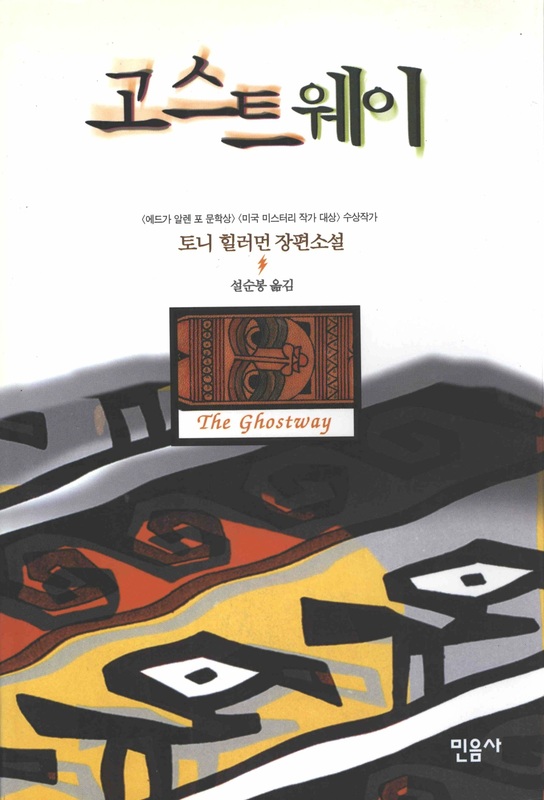 This is the full and detailed views of the first Korean paperback edition of Hillerman's The Ghostway. This edition was published in 2000 by Minumsa Publishing Co., ltd. in Seoul, South Korea. Tony Hillerman's original text was translated from English to Korean by Sŏl Sun-bong. Design and Photography Credits:The cover art is features a colorful geometric pattern which appears to be reminiscent of a Navajo Blanket.